Jeff Lewis’ Advice Managing OCPD, star of the hit reality show Flipping Out, has earned a reputation for being one of America’s most well-known designers and house-flippers. He is also known for being an extreme perfectionist, which he attributes to his obsessive-compulsive personality disorder. 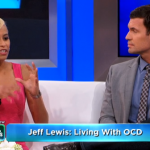 Jeff shares advice for others living with obsessive-compulsive tendencies.